In the old days we used DBMS_JOB to schedule jobs in the database. For more complex scheduling a program like Redwood Scheduler was used. 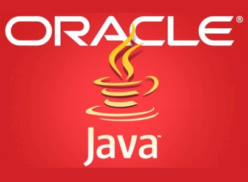 In Oracle 10g Oracle introduced DBMS_SCHEDULER. be used any more, because is could not exist in a future version of Oracle. With DBMS_SCHEDULER Oracle procedures and functions can be executed. Also binary and shell-scripts can be scheduled. If you have DBA rights you can do all the scheduling. and window. We will now discuss these components in detail. The program component is a collection of metadata about what will be run by the scheduler. arguments passed to the program. A schedule defines the frequence and date/time when a job is executed. Similar to programs, schedules are database entities and can be saved in the database. The same schedule can be used by multiple jobs. You can specify a program and a schedule as part of a job definition, or you can use an existing program or schedule. A job can belong to only 1 job class. Jobs can be monitored using Oracle Enterprise Manager 10g. We will discuss some of these views here.